I enjoyed this book, and this opener does present the scenes and characters very well. Thanks for sharing. Laurel-Rain Snow - I'm enjoying it, too... love the setting and the characters. I read this one at the start of the summer and loved the strong female characters and quirky neighbors. Enjoy! Catherine - The characters are wonderful. I'm adding her other novels to my list. Great first paragraph. I would definitely keep reading. Carol - This drew me in right away, too. Kelley - I read the first 50 pages before I looked up. The opening was a quick introduction to two people and done in a way that makes the reader want ro know more. Very well done is a short amount of words. I look forward ro seeng what you think of this one. Margot - I haven't read Lipman before, but am enjoying these characters very much. 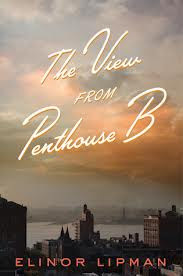 I used to work just a few blocks from West Tenth, with a view of the Hudson -- so I would definitely keep reading! Col - Then you would love this for the setting alone! I'm familiar with that area and am enjoying many of the references. Not only would I keep on reading, I wouldn't stop until I was done. I love books about NYC, fiction and otherwise, and the voice of the narrator has great promise for being someone I would like to spend time exploring the city with. JaneGS - The setting and the narrative voice drew me in immediately.. the characters are quirky and fun! Well I would have, and I did... but even if I didn't know Elinor Lipman's work, I think the combination of smart, funny, New York and food would have reeled me in. :) Though I did miss her writing about Boston and Brookline this time. Audrey - I have you to thank for this one! I'll definitely be reading more of her novels.... The Inn at Lake Divine may be next. Sounds great. I think I have this on my Kindle. I like the intro a lot. Haven't read this one yet by her books: Inn at Lake Divine and My Latest Grievance were favorites. enjoy and thanks for joining us. Diane - The Inn at Lake Divine is on my wish list. Will add My Latest Grievance, too! Marie - True... you've got a pretty good idea about the characters in just two paragraphs. I would keep reading. I have not read this author. Nise - This is my first experience with Lipman, too, but I'm already planning to read more. It kept me reading - and in fact I read it pretty much straight through, which rarely happens these days. I hadn't read one of her books in a long time, and it was nice to settle in with one again. Lisa - I can see why you'd want to read this book in just a couple of sittings! I do so like this opener. Very intriguing. Mystica - The rest of the book has been just as good. I[m so familiar with the name, Elinor Lipman, as an author. I just haven't read any of her books. I like the style of the writing from your First.....The idea of being rich and poor at the same time is interesting. Tea - I just finished the book this afternoon and will definitely be reading more of her work. This book sounds very interesting and different. I would continue read The theme of loss connecting people is powerful, too and fascinates me.I haven't read any of Lipman's books yet, but I think I need to add her to my list of authors to read! Amy - I finished the book today and definitely think you would like this author! I like it! An author I would like to read someday so I look forward to seeing what you think of this one. Stacybuckeye - I liked the characters and setting.... this was a very good read! I would keep reading. I'm intrigued by the two sisters already! Diana - Those two sisters made for some very entertaining reading!